Pictured is the east side of the historic structure at 235 W. William St., mostly commonly known as the Perkins House. Delaware City Council on Monday voted down a developer’s plan to renovate the home and construct a new addition behind the home to create a 43-room hotel. The home is located next door to the Ohio Wesleyan Student Observatory. Whether or not the downtown area of Delaware needs a hotel has been a point of contention among residents. Whether or not a hotel is imminent is no longer a debate as Delaware City Council voted down the proposed Wesleyan Inn by a 4-3 vote during its meeting Monday. Council members voting against the proposed hotel were Chris Jones, Lisa Keller, Jim Browning and Kyle Rohrer. Under the proposed development plan, a 43-room hotel would have been built as an addition to the historic Perkins House located at 235 W. William St. Jim Manos, the project developer, was also going to renovate the Perkins home as part of the project. As part of the development, Manos intended to demolish the house at 239 W. William St. (directly west of the Perkins House) to make room for the parking lot. The rezoning of that parcel of land to include a Planned Mixed Use Overlay was the biggest issue to overcome for several council members, particularly Keller. Jones echoed Keller’s concerns but added he had no issues with the proposed hotel itself. Browning backed Keller’s words but did not add any of his own thoughts, nor did Rohrer, who said nothing in the discussion preceding the vote. 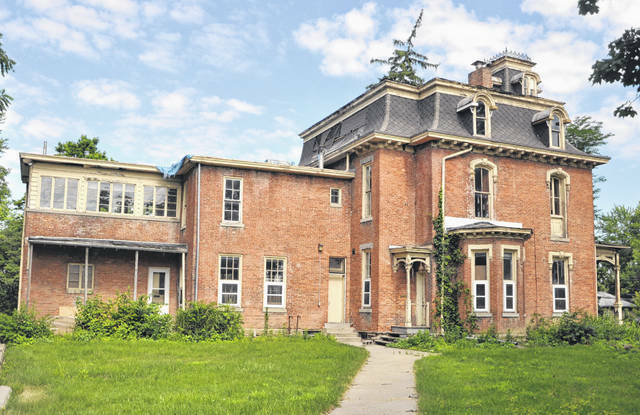 Asked what his next steps might be, Manos said he and his team will discuss their options with Planning and Community Development Director Dave Efland, which will include exploring the demolition of the historic Perkins House, although he added he certainly didn’t want to do that.